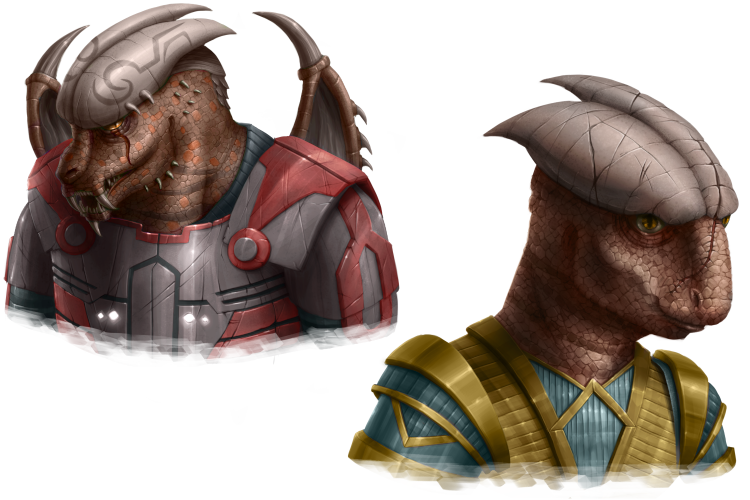 The Dracos are the oldest reptilian race in the galaxy. They are the ultimate warriors and are always seeking to enhance their power and dominance. They have even modified their DNA to perfect their mental and bodily capabilities. Though they have a tradition of keeping their scars from battles to show how much they have fought. Dracos start with an additional level in Military technology and some extra ships. This means you can expand quickly. With the extra Military level you will have more powerful ships early on.